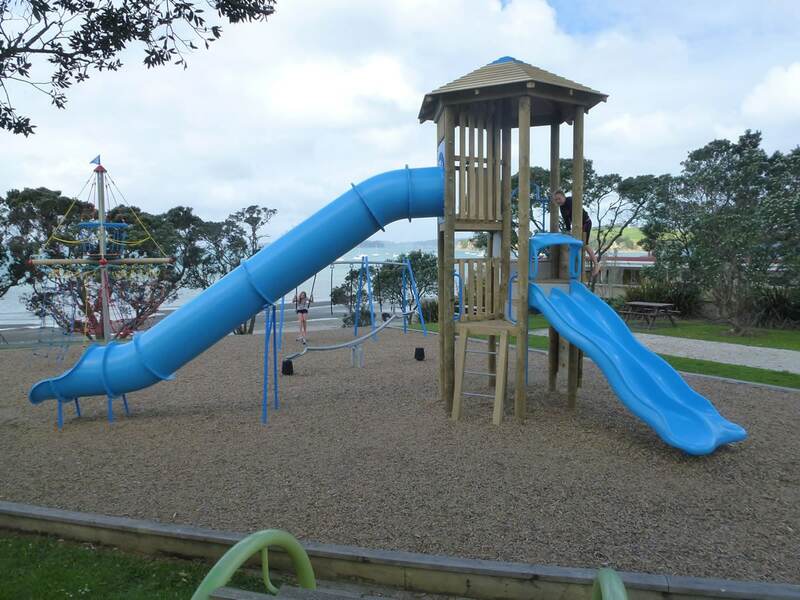 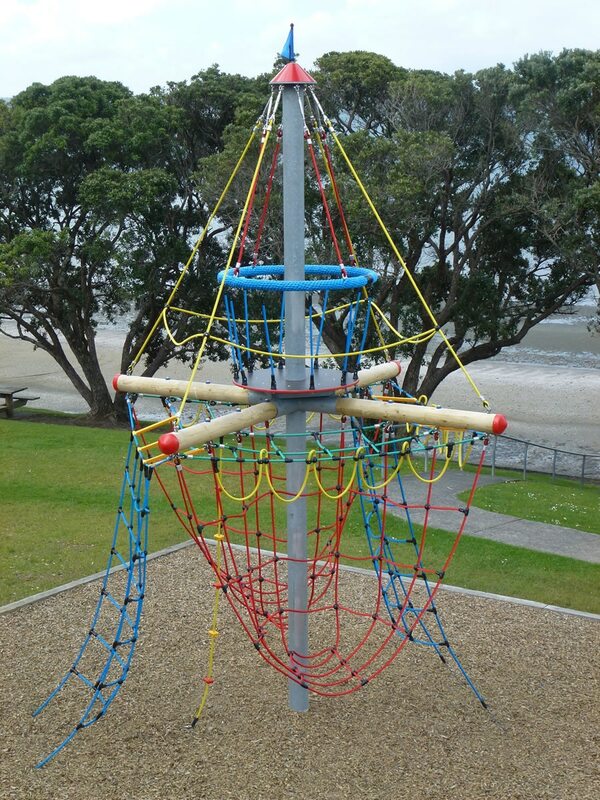 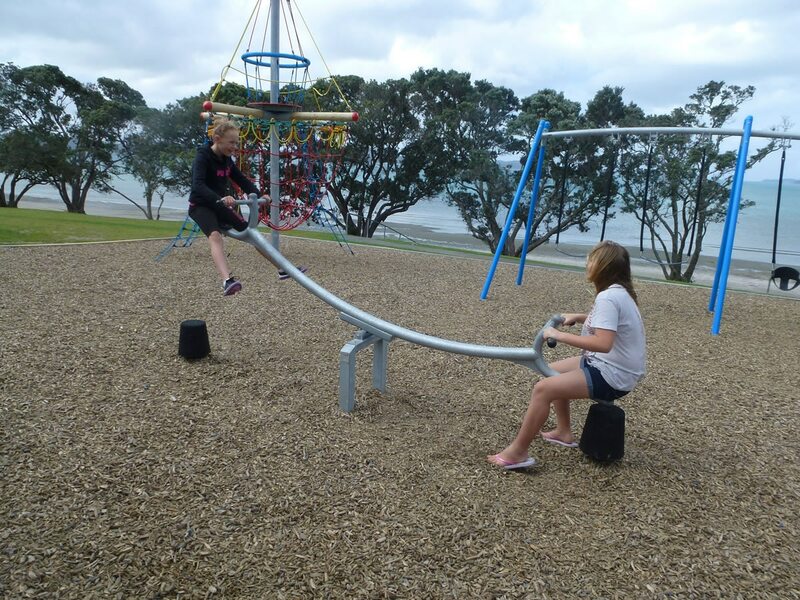 Auckland Council was looking to refresh and revitalise an existing play area. 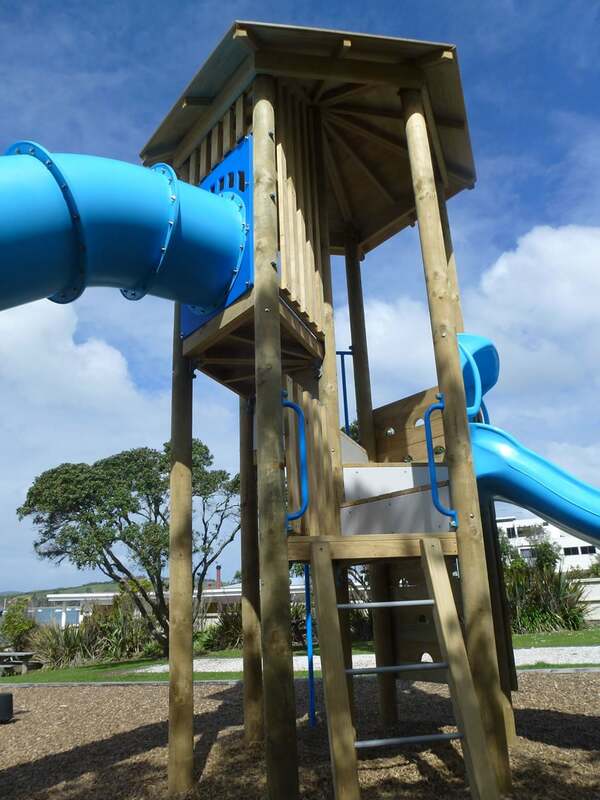 Being a coastal environment, it was imperative that the equipment could withstand harsh weather conditions. 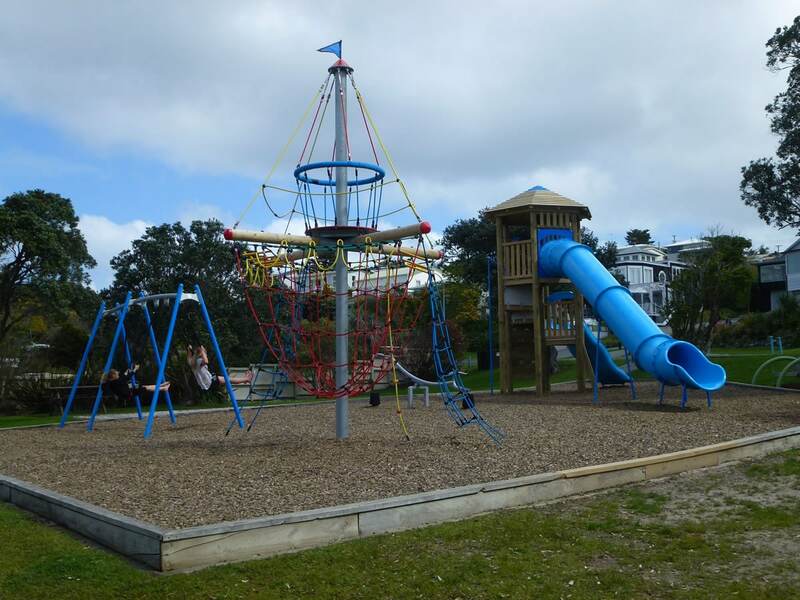 The Council was looking for a space that catered for a wide variety of ages and abilities and most of all, was a “draw-card” to the area. 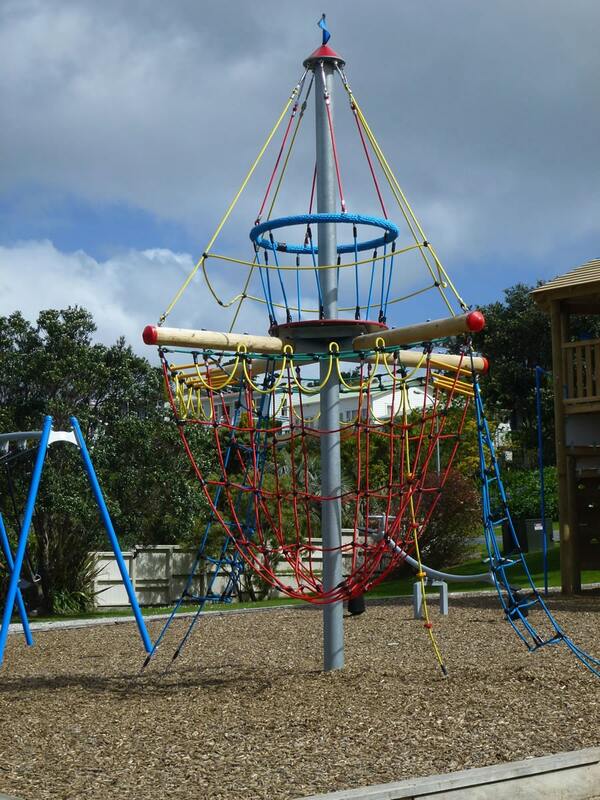 Playground Centre worked to create a unique tower which had internal play levels within. 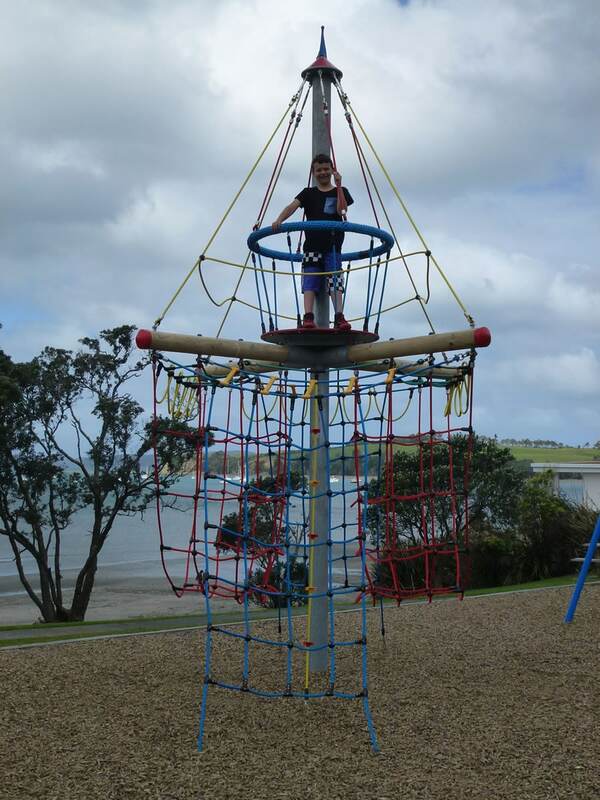 The tower needed to handle a large age range. 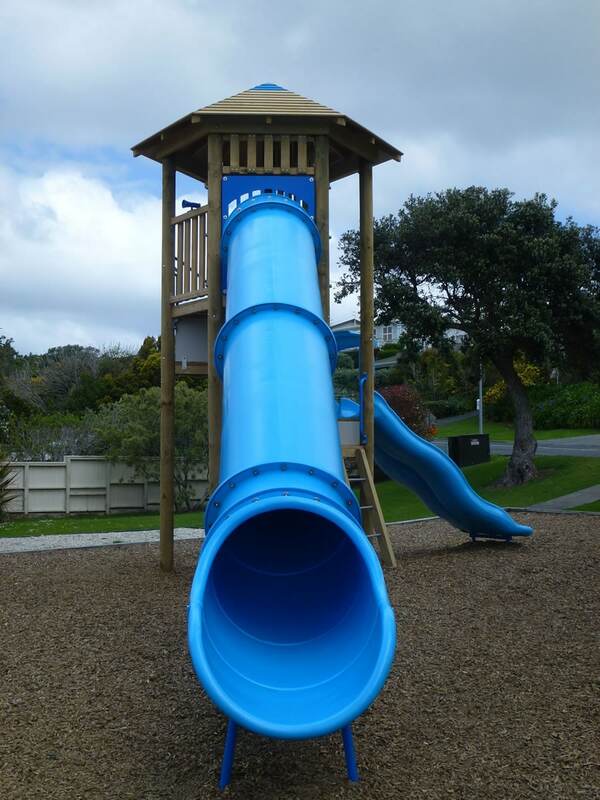 Passive barriers were added to provide challenge to get to the tube slide at the top. 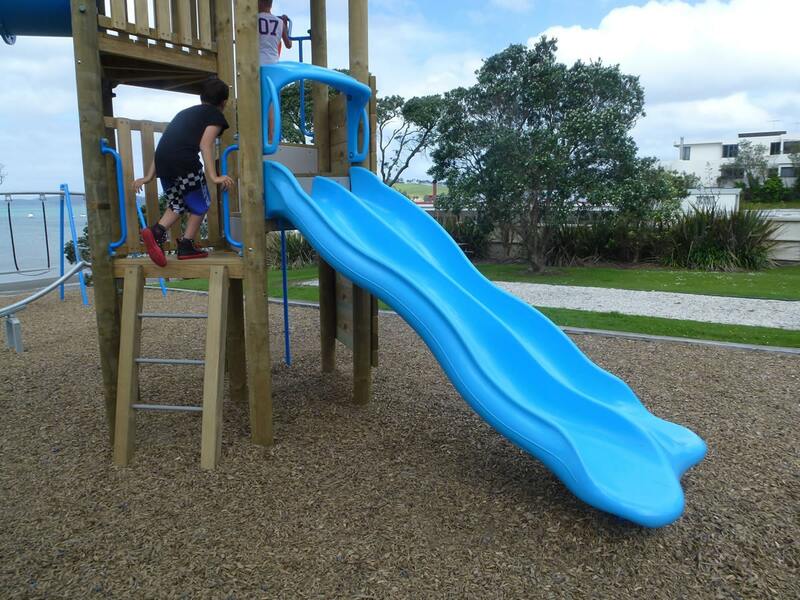 Colour was used to enhance the coastal theme. 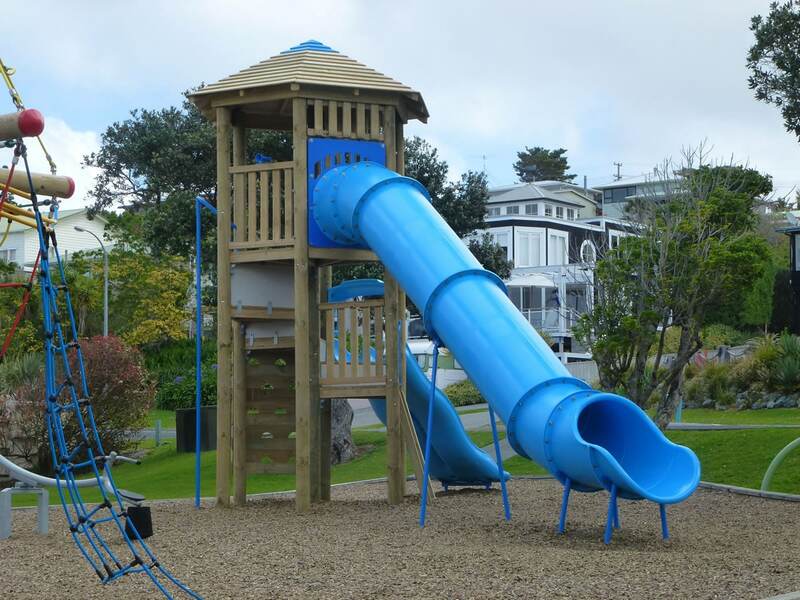 The Pirate Tower was chosen due to its versatility for different age groups and uses while perfectly matching the coastal theme. 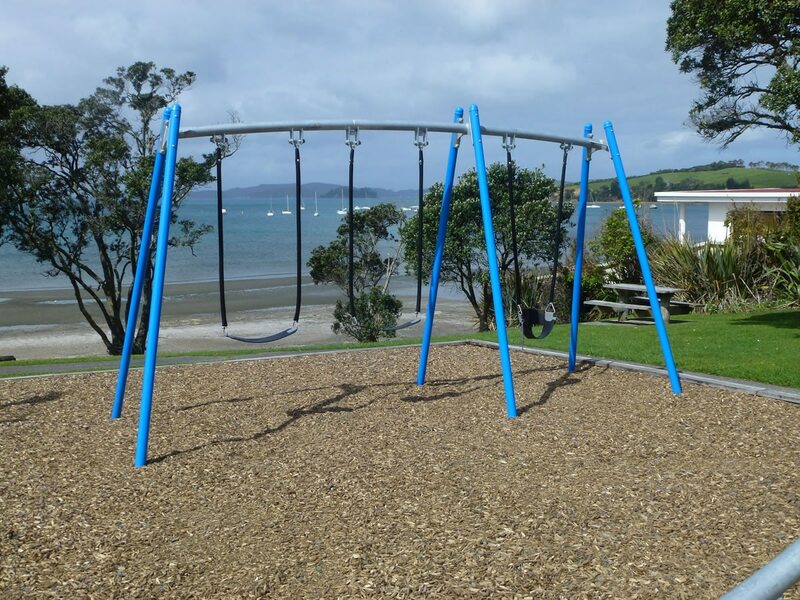 The 3-Bay Swing & See-saw provided the “finishing touch” to this now exciting play area.